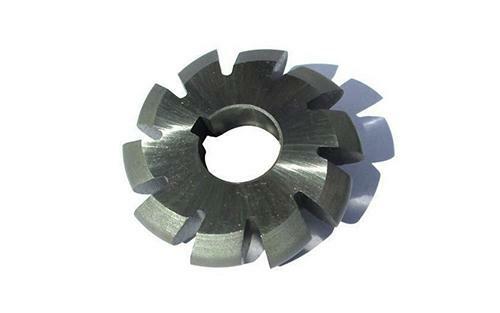 Sprocket milling cutters are also referred to as Rotary Form Cutters. They are manufactured in three standards generally named as 1, 2 and 3. These standards are identified by the number of teeth cut. Number 1 has between 9 and 12 teeth while number 2 has between 12 and 19. Any cutter that is beyond 20 teeth is classified as number 3. These Cutters are also manufactured conforming to American, Indian and DIN Standards. Prices on request. Note : Coatings available on every tool. There are other standards that depend on the nation of jurisdiction. America has her standards and so does India. The other standard is DIN which completes the set of standards for manufacturers. Each of these standards has unique specifications. It is upon the client to make a choice on his preferred choice of standard. Since its establishment, Maxwell Tools has produced a wide range of the best quality accessories for milling and cutting functions. These tools are unique and designed for particular industries. There is enough stock of readymade cutters and milling tools as well as provisions for customizing others to meet particular needs. It has invested in a team of highly skilled technicians who help raise the standards of production. The technicians are specialists in their field, accredited by regulatory bodies and experienced. Their level of exposure prepares them to deliver on the most precise instructions. They easily understand your demands and value your time to deliver as quickly as possible. The company has invested in the latest technology and most advanced machines to be used in production. They are fast and precise in delivering on your orders. The machines ensure that all pieces during mass production are consistent. Quality Assurance- inspection throughout the process of production ensures that the set standards are achieved with precision. There are internal standards regarding the quality of raw materials, adherence to customer demands and turnaround time. International standards set by the industry are also met. Customer satisfaction- delivering on customer expectations regarding quality and turnaround time is a commitment made by everyone at Maxwell Tools. You are guaranteed of excellent customer experience through simplified processes and convenient interaction. Complaints are resolved amicably through clear mechanisms. Value for Money- high quality tools are durable and reduce the cost of production. The cutters produced by Maxwell Tools are the best quality with enhancements such as coating to augment their functionality. They can withstand the abrasive environment and the resulting heat to offer versatility and predictable results. Convenience- milling and cutting tools are ordered through a user friendly online portal that is accessible from any part of the world. There are specifications to guide you when ordering. You will get the exact dimensions you choose online when the tool is delivered. Payment options are simple and convenient including online transfers and use of major credit cards. Maxwell Tools is committed to delivering excellent quality cutters to buyers all over the world. The team is dedicated to offering the best customer experience regardless of the value of tools you order. You will enjoy durability, versatility and excellent value for money for every piece you buy.